After the most SCORCHIO of British Summers that I can remember, I can’t say I’m not a little relieved to hanging up my slightly weathered rosé hat. During this sweet spot between balmy and baltic, it was with total Autumnal anticipation I reached for my favourite trench. I think we all can agree that the timeless trench coat is one of those key inter-seasonal layers that everyone needs. Possessing all the Audrey vibes one could hope for in a trench, this wee Marks and Spencer's number I got last season is set to work just as hard this year, as it did the last… And that’s the thing with trenches, they just never go out of style. Although this balloon-sleeved beauty is sadly no longer in stock, Marks and Spencer have just launched their new style, an affordable Trench Coat made from sustainably sourced materials, which uses clever clogs Stormwear™ technology, increasing your protection against wind and rain (remember those ol'things?!) 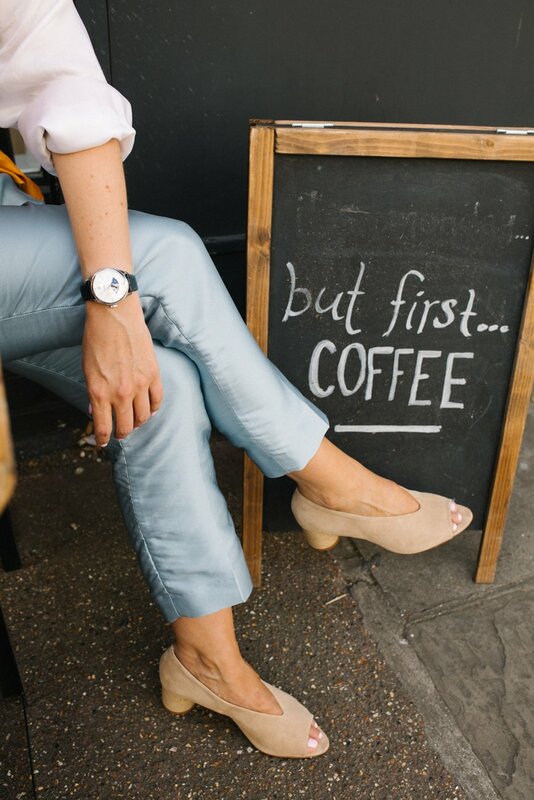 Chic AND practical - WE LIKE! Another goodie I've spotted which won't be hanging around on their digital shelves for long is Rejina Pyo's love-and-wear-forever Double Breasted Belted Trench Coat from her second collaboration with Label/Mix. Rising fashion-star Rejina Pyo's show during London Fashion Week has become one I really look forward to, and being able to purchase some of her striking designs with their signature sculptural buttons, more affordably than her mainline layers, gives me such a sweet fashwunnnn high. 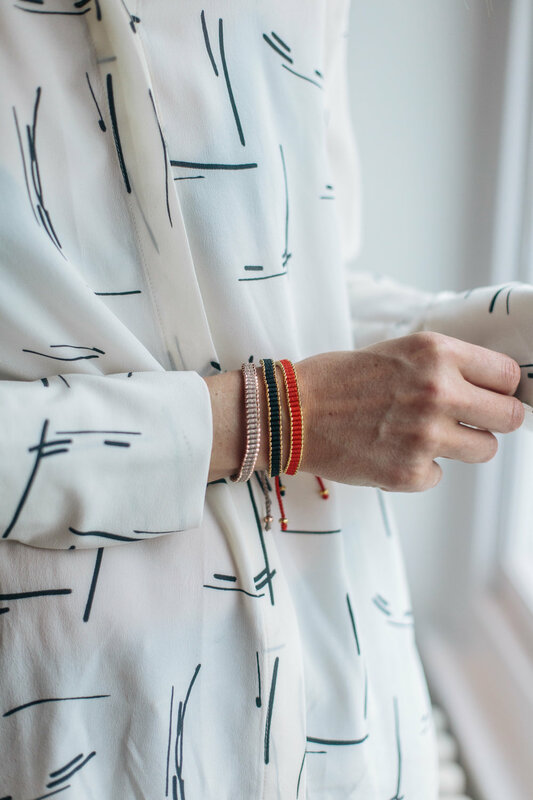 Influenced by my Kenyan roots, the seven Masai bead inspired Tembo Charity Bracelets from my collaboration with Auree Jewellery have collectively raised £25,000 (!!!) which has been donated to For Rangers, with a giant bow on it. I’m so proud that 100% of the profits from our collection went towards supporting the brave heroes across Africa risking their lives every day to protect our endangered wildlife, and so grateful to have this platform (my own ‘digital soapbox!’) to share the causes I feel so passionately about. Thank you to everyone who bought one (or two, or three...) of the Satao, Pembe or Shina bracelets… You will have directly contributed towards the fight against elephant poaching, and the extinction of this iconic, important animal. So, today ASOS is very kindly offering us all 20% off EVERYTHING (yes… EVERYTHING) on their entire site, using the code 'GOFORIT'… Ummmm, we LOVE those guys! To save you the inevitable hours of trawling their site (it is a Monday after all) and from making any impulse/instant-regret/immediate-return decisions, I took one for the team and put together this edit… Just hover and click on the items you like for their direct links. 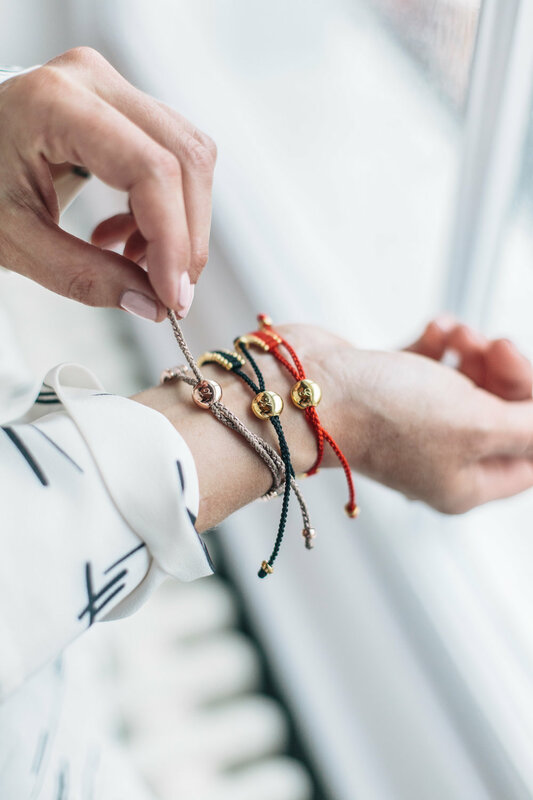 Spanish fashion house Loewe has teamed up with Knot On My Planet's global ambassador Doutzen Kroes and Save The Elephants in the fight against the ivory trade, a cause very close to my heart. 100% of the profits from the Loewe's limited-edition Mini Elephant Bag (above), adorned with handcrafted beadwork by the fabulously skilled mamas from the Samburu Warrior Trust based at Kenya’s Ol Malo (one of my favourite places to stay on earth), will be donated to the Elephant Crises Fund and the conservation initiatives they support. Left: During one of my beautiful stays at Ol Malo, a family ranch and game sanctuary in Laikipia, the heartland of the Samburu tribe. Whilst there the mamas colourfully beaded my ankles. This specialised craft has given the female elders a viable workflow to help sustain their families. Did you know that elephants are deeply emotional and intelligent animals with strong family bonds that last their 70-year lifespans? Or that without elephants, natural ecosystems can quickly fall into disrepair, creating further food insecurity for local human communities? Trust me, with a wild elephant killed every 15 minutes across Africa, a designer handbag has never felt like more of a crucial investment. Shop HERE. I’m not sure if there was something in the water last year, but I’ve had a recent rush of the most gorgeous god-children and other miniature cuties appear in my life! 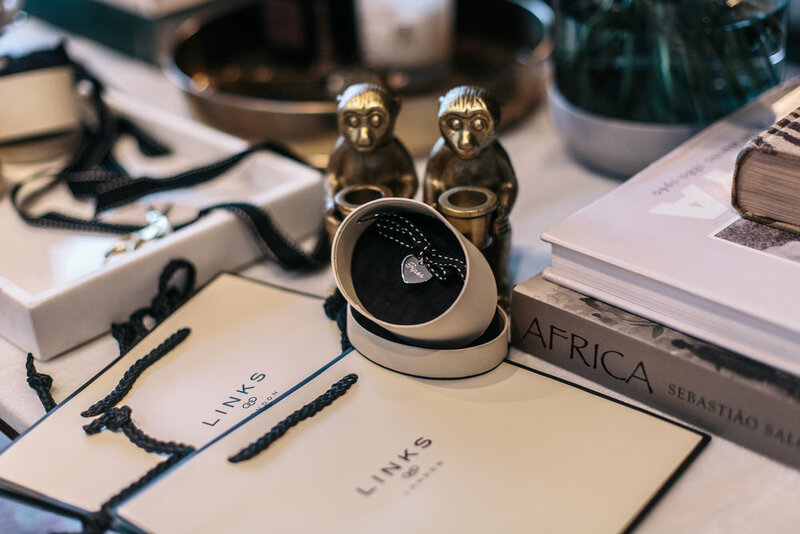 Deciding what to buy them to celebrate their arrivals has been so much fun, and alongside an obligatory Sophie la Girafe, I decided to give them all some of their very own engraved treasure to welcome them into the world. I headed straight to Links of London, knowing they not only have a renowned selection of covetable, yet affordable, jewellery, but they also generously offer complimentary engraving. 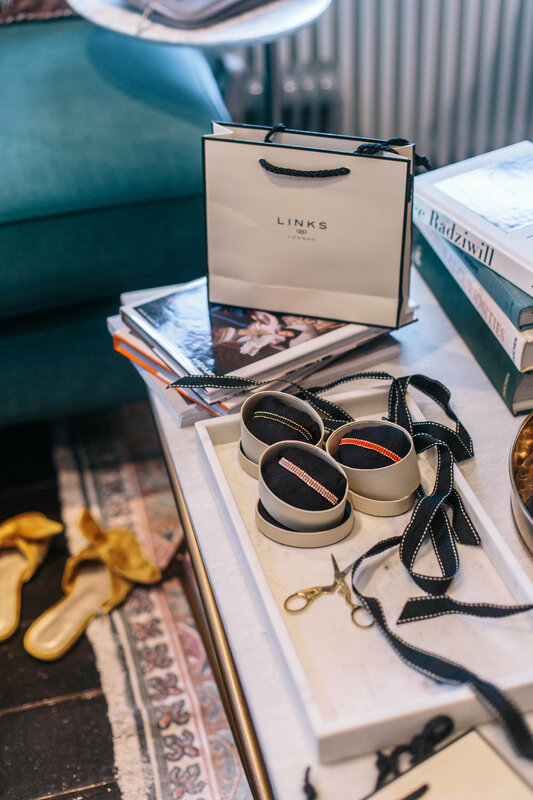 From pens to pendants, watches and tie bars, Links of London is filled with copious amounts of personalised giftspiration and I was spoilt for choice. For the boys, I decided to get sterling silver cufflinks with their initials (can we take a moment to appreciate that I have a god-son called Lukas Axel… #FutureRockstar #JusSayin…) and for the girls I got gorgeous sterling silver and 18kt gold heart-shaped disc charms engraved with their names. These hearts can be added to charm bracelets or worn alone on a necklace, and although these gifts might not be ones the children can immediately enjoy, they will feel all the more special and sentimental once they can. The pieces of jewellery I hold most dear are always completely unique to me, engraved with my name, or of those closest to me, personalised with meaningful dates, lyrics or sweet, ‘in joke’ phrases. These pieces instantly become heirlooms, and the reason why I tend to veer towards this idea for presents for others, and ermmm, myself. What?! You didn’t think I was going to leave myself out of this equation, did you?! Do you not know me at all by now?! 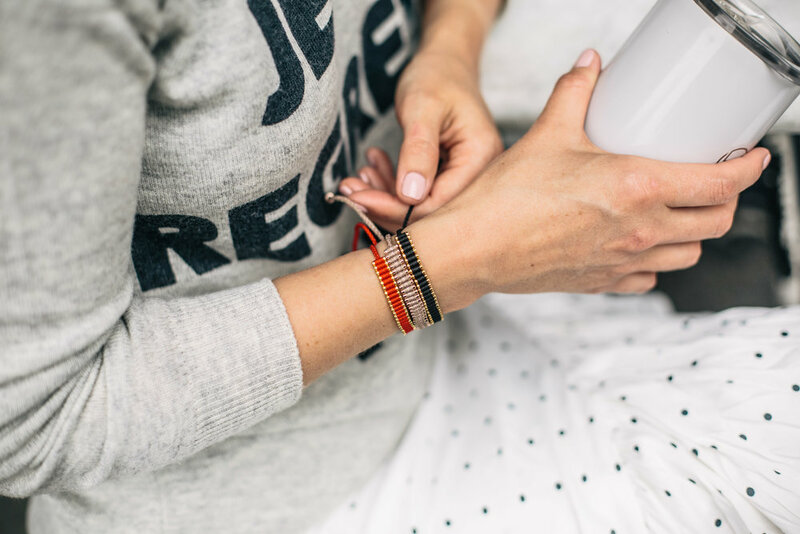 With my sister living in New York, my mother living in Kenya, and with me living in London, I thought I would engrave us some matching Links of London friendship bracelets with each of our initials engraved on the cord's toggle. How sweet?! Fear not, friends, I managed to behave. Both my mother’s engraved 18kt Rose Gold Vermeil & Taupe Cord Mini Friendship Bracelet, and my sister's engraved 18kt Yellow Gold Vermeil & Ruby Red Mini Friendship Bracelet, were both dutifully wrapped up and sent to each of their far-flung destinations! Severe brownie points all round. Having spent most of my twenties not wearing a watch, or really even caring that much about the time in general (oh, sweet youth…) I have certainly upped my wrist game since hitting 30. 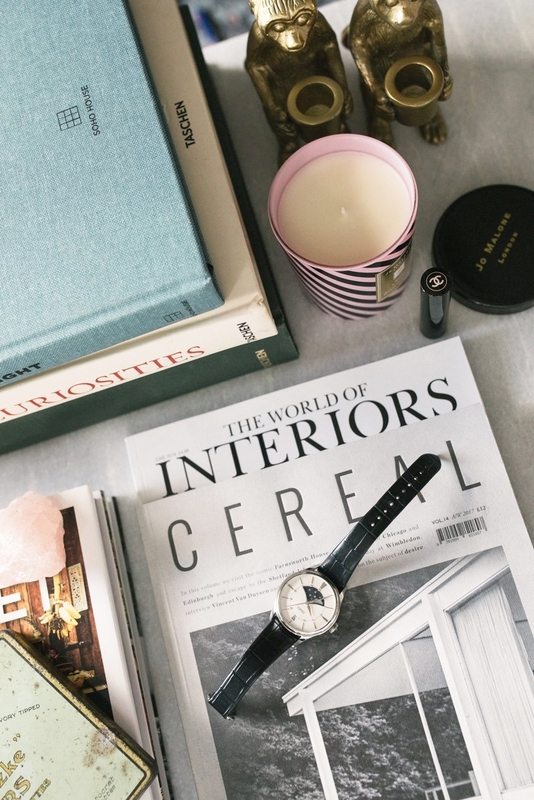 Telling the time, and most importantly, being on time, aside, a great watch can really set the tone for your whole look, acting as both a style and personal character statement. As we tend to wear watches more frequently than any other accessory, investing in a time piece you really love feels pretty justifiable, given the eventual ‘cost per wear’ (a little formula not taught at school, but one I use far more regularly than the Pythagorean theorem…) and amidst an influx of smart watches and new technology flooding the market, I am even more appreciative of traditional, beautifully crafted and charismatic watches which can be passed down from generation to generation. This summer I discovered Oris, the luxury Swiss watch brand renowned for their distinctive, 100% mechanical designs. 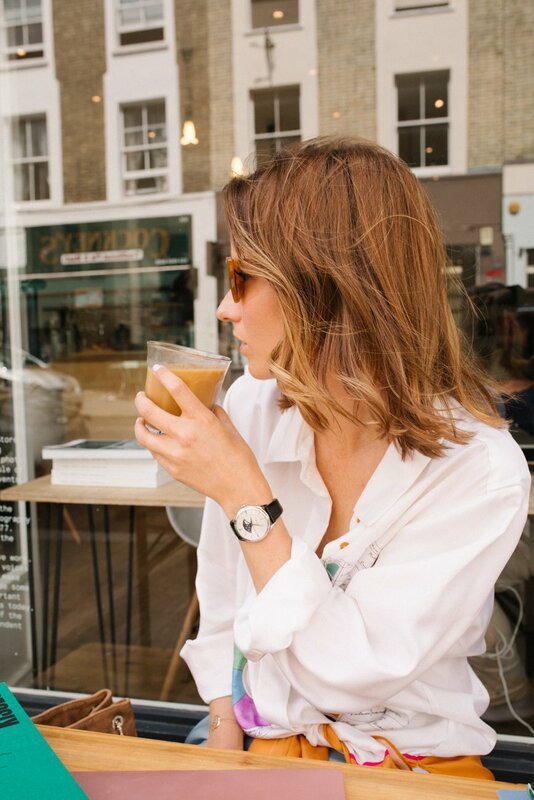 Founded in Holstein, Switzerland, in 1904, the independent company launched a standalone concept store on London’s fashionable South Molton Street (above, open until the end of August) which gives British customers a chance to explore the brand, its rich watchmaking heritage and ultimately to ‘Go Your Own Way,’ by finding your perfect watch. To me, this watch is both classic but also wonderfully modern, and although embellished with beautiful diamonds and sapphire crystal, in keeping with my day-to-day style and work, it doesn’t feel too ostentatious or feminine, due to the bigger dial size and deep, midnight blue sustainable leather strap. Passionate about our earth and wildlife, what was of obvious interest to me, is the brand’s #ChangeForTheBetter campaign, and their continuous, and active support of non-profit organisations that protect endangered species and conserve threatened habitats. This year Oris started using sustainably sourced and produced leather straps, which appeared in the company’s classic collection of Artelier watches, such as the one I chose to wear. 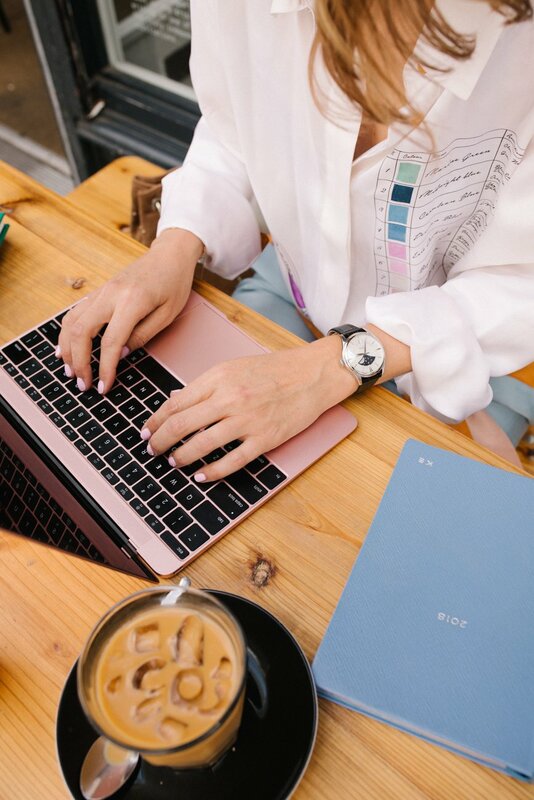 Knowing that the watch I chose to wear has been so ethically created makes this particular collection even more charming and covetable, and although also available in stainless steel, I can imagine the leather strap will age really beautifully over time, telling unique stories from each owner’s wear, and I find that really enchanting. With sanitary products being unaffordable for many, and the subject of periods being still relatively taboo, Gabby Edlin started ‘Bloody Good Period,’ a charity which donates feminine hygiene products to asylum seekers and refugees. 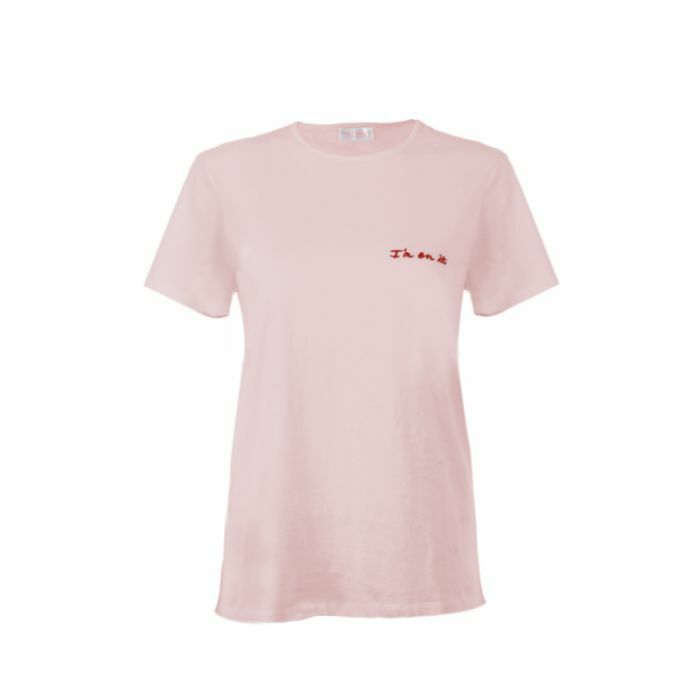 We can all help support this cause by purchasing one of these 'I'm On It' tees from Pink Parcel. Designed by my podcast faves, journalists Pandora Sykes and Dolly Alderton, each purchase sees £5.00 go towards tackling period poverty. I was saddened to have a pretty discouraging comment left on my Instagram after I posted this picture. I was told this kind of shocking subject matter was not in line with my usually 'elegant' content... Well, what I find far more shocking is that one in ten girls are unable to afford sanitary items in the UK alone! The stigma (so clearly displayed by this one follower) and shame attached to discussing this subject can have a really damaging impact on the lives and education of girls across the world and that is exactly why I’m proud to speak up and wear this tee. Oh, and in my opinion, there is nothing more elegant than standing up for the rights of people less fortunate than ourselves - especially young girls. I'M ON IT. In just under a week, one of the most fashionable events in the entire British social calendar commences; Royal Ascot. Founded by Queen Anne in 1711, the four-day racing festival has become a pageantry filled national institution, one where both the horses and the elaborate hats in attendance share focus and press. 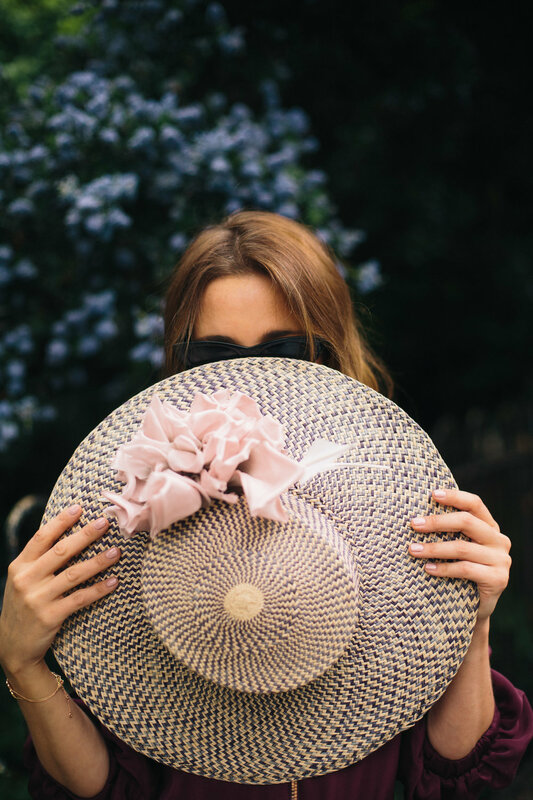 With a strict dress code, Royal Ascot is synonymous with sartorial elegance, thus, whilst inevitably enjoying a lil’flutter on the GG’s, it’s always the elaborate hats which have my eyes on stalks each year. Underneath all the silk flowers and high-fashion head toppers however, it is just as important to make sure your jewellery is just as on point (to point). 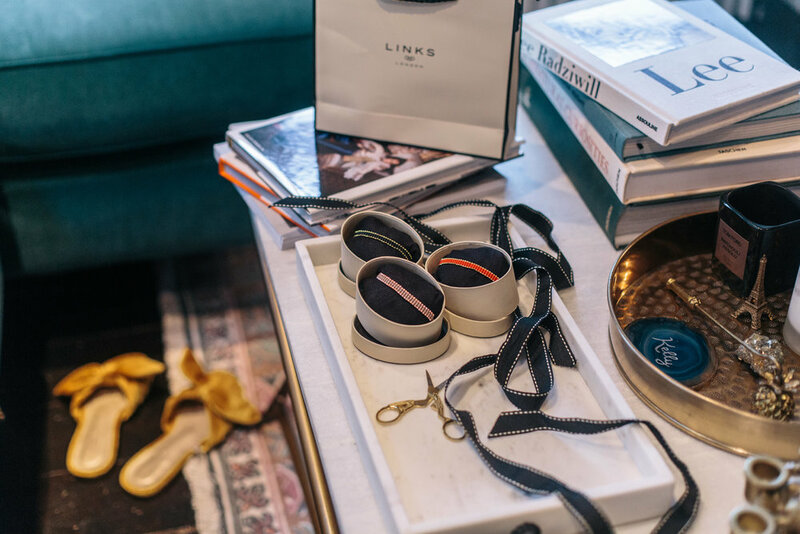 Luckily for the attendees, and all race aficionados in general, for the second year running, Links of London are back in the saddle as the official jewellery license holder at Royal Ascot. 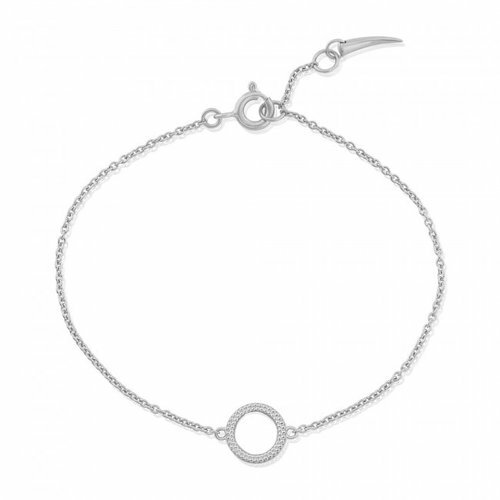 The much-loved British jewellers and have once more designed a stylish, racing-inspired collection that will not only complete your look, but will be treasured by its owners for many more years to come. Amongst the specially crafted diamond necklaces, colourful charms, and engravable cufflinks for the often-overlooked gentlemen, I decided my favourite pieces from the Links of London Ascot Collection were the Horseshoe designs. 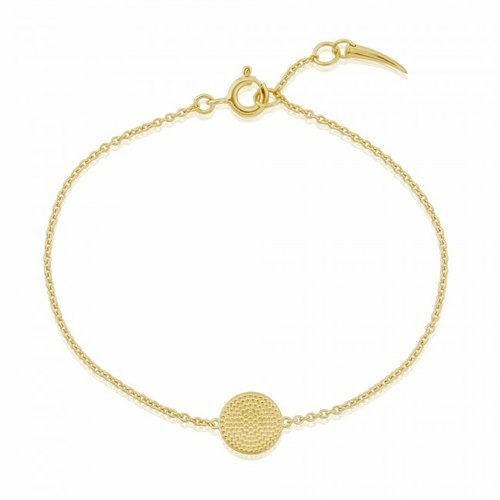 Simple in style, with an obvious nod to horse racing, the delicate chain bracelets, pendants, rings, earrings and adjustable cuffs available in sterling silver, yellow gold vermeil and 18k rose gold, are utterly timeless. I was really excited to be invited to Mykonos a few months ago by Figleaves to get a sneak preview of their gorgeous Spring/Summer’18 collection, which has recently hit their digital shelves. I’d never visited the idyllic, white-washed Mykonos before, and over a whirlwind, bikini-filled 24 hours, I was able to really get a taste of both the glamour and simplicity of the Greek island. In the morning I explored the island’s capital, Chora, which gave me the opportunity to wear some of Figleaves’ new beachwear around all the narrow and winding, labyrinth-style streets. Picturesque, and quaint, there are endless little souvenir and handicraft shops to peruse, and cafes to drop into, as you wander around the bougainvillea scattered narrow and winding, labyrinth-style streets. No trip to Mykonos would be complete without visiting the iconic windmills which overlook the sea, dating back to the 16th Century. Above: Wearing the Rowan 0ff The Shoulder Sundress (RRP. £38.00), also available in white. I was quite overwhelmed by the amount of stray cats in Mykonos, either happily soaking up the sunshine, or merely looking to share your lunch. To adopt a stray from Mykonos or sponsor their fostering or sterilization efforts, please contact Mykonos Animal Welfare. In the afternoon, I headed to the Alemangou Mykonos, a boho haven on Mykonos’ Ftelia Beach. The rocky landscape, golden sand and crystal Aegean seawater made for the perfect location to shoot some of the latest Figleaves swimwear. My favourite piece from the new collection was the Surf Shore Soft High Neck Tummy Control Swimsuit (below, RRP. £45.00), which was an unusually sporty choice for me, but I loved its high neck and unique mesh detailing. I have always wrongly thought that Figleaves only catered for the more curvier figures, but I was so thrilled to realise that they have copious, sun-sational (couldn’t resist) fits for every shape and size, allowing us all to feel both supported and stylish this summer, whether poolside or at the beach. (RRP. £45.00) and the Frida Underwired Bandeau Swimsuit (RRP. £50.00). 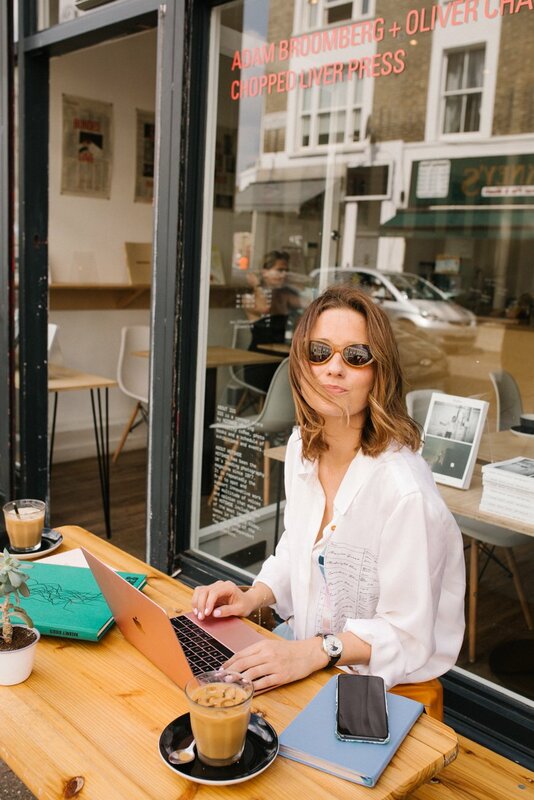 I have long since been a fan of ba&sh, the French fashion brand which allows us to access that effortless Parisian style we all covet, with a welcome twist of California cool, on our very own British high streets. Season after season, their never-out-of-style, fresh and floaty bohemian aesthetic, with its touch of rock and roll, urban chic, is the direct result of a beautiful friendship between Barbara Boccara and Sharon Krief. Fifteen years ago these life-long, joined-at-the-hip besties decided to create the now hugely popular lifestyle brand, filled with feminine and timeless wardrobe must-haves fit for any occasion. I was really excited to be given the opportunity to help spread the good word about ba&sh’s first yoga capsule collection, a collaboration with Ana Hart, a young brand co-designed by interior designer and yogini Amanda Ibgui, and her former yoga teacher and mentor Rachel Novetsky. On the first properly sunny day of the year, surrounded by show-stopping, instagram-worthy blossom trees in a nearby private Notting Hill garden (all so very "Whoopsie Daisy," Richard Curtis), I wore some of the pieces to a Jivamukti yoga class with the fabulous Dannii Jordana from the famed Sangye Yoga School. Wearing the ba&sh x Ana Hart Romy Jumpsuit. Above: Wearing the ba&sh x Ana Hart Kloe leggings and Moove T'shirt. Above: Wearing the ba&sh x Ana Hart Moti T'shirt. This capsule collection is created for women that love to keep fit and healthy, but also like to have a little (or a lotta) fun… Ladies who balance out their green juices with their cocktails and their warrior poses with their table dancing… Which sounds an awful lot like many of my friends! Speaking of my friends… I was thrilled when ba&sh invited a group of my nearest and dearest along to a special ‘After Hours’ drinks party at my local Westbourne Grove store, where I introduced them to not only the new yoga capsule collection, but also to the latest ba&sh Spring/Summer’18 designs. Above: Hosting my friends wearing the ethereal, metallic Pipa Dress. 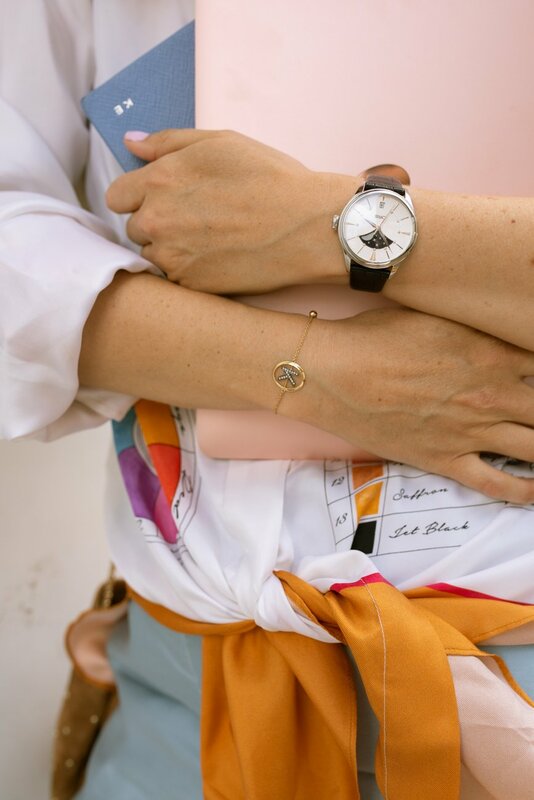 As suspected, it didn’t take my buddies long to get well acquainted with the stunning ba&sh designs (or some of the first rosé of the summer), and most predictably, shopping bags were soon filled with some seriously enviable wardrobe additions. 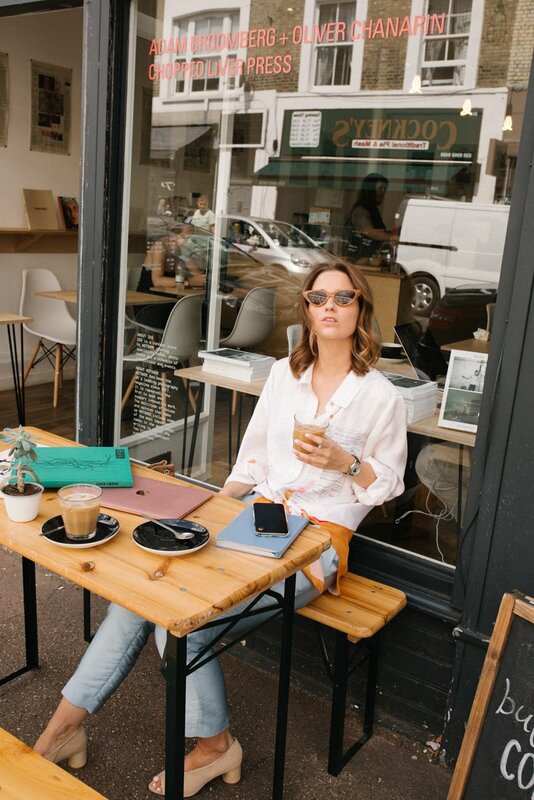 Soon after we piled into cars which took us to a private apartment on Golborne Road, my favourite road in my neighbourhood, where a sumptuous vegetarian feast and a plethora of cocktails awaited us, beside an edit of my favourite ba&sh Spring/Summer’18 pieces. Each of my guests also found gifts from the ba&sh x Ana Hart yoga collection on their seats, and took home posies which made up the beautiful bouquets around the room.